Each activity has its own risks, including football. Very often the pages of sports newspapers and TV news narrate events that involve professional players and not victims of injuries during the practice of the most loved sport in the country. 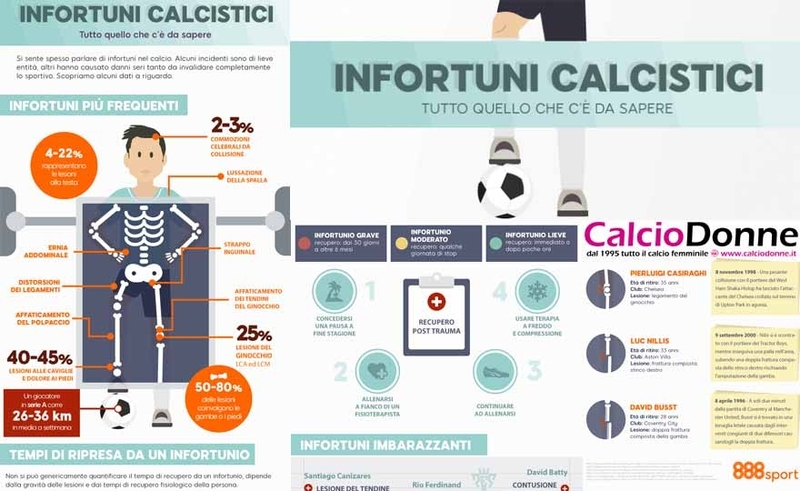 As clearly illustrated by the infographics of 888sport football injury is anything but a rarity. Head and knee injuries, shoulder dislocations, inguinal tears, abdominal hernias, tendon and calf fatigue, but also pain in the feet and ankles are the order of the day. Soccer is perhaps the most challenging of all ball sports. 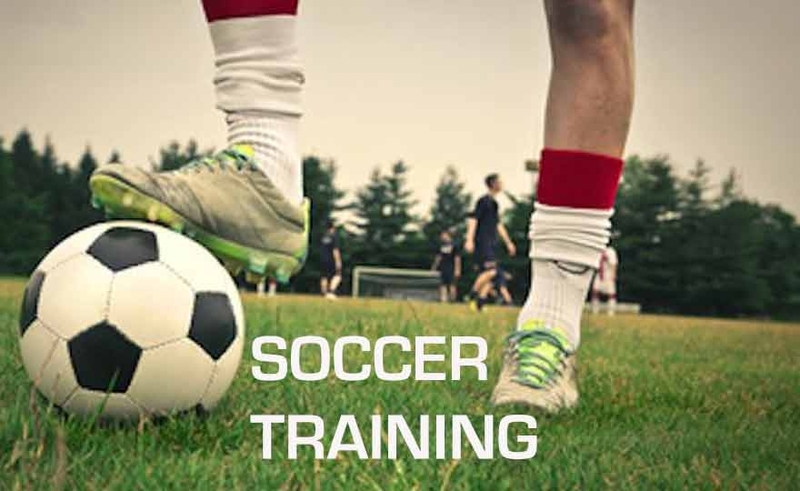 In modern play (at any level), football training and conditioning are essential. Few sports are played on a wider playing field, of such a long duration and without regular rest periods. Players cover 8-12 km during a game, consisting of 24% walking, 36% of jogging, 20% of runs, 11% of sprint, 7% of backward movement and 2% of movement while they are in possession of the ball (1). On today's Tuttosport a good interview was published on Professor Giovanni Bonocore, Pepito Rossi al Levante's personal athletic trainer, also known for his past with Alex Del Piero. 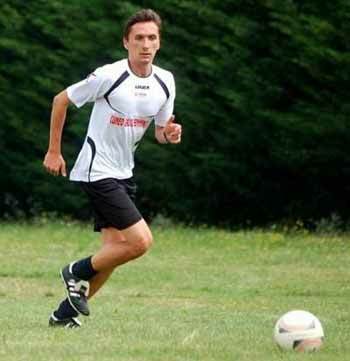 In the interview given to Tuttosport, Bonocore tells us about the injuries on the football pitches of the Serie A and presents us with "I-cryptex Training" an easy-to-use APP invented by him and Roberto Angiolucci that allows you to do daily tests without resorting to field tests and assess muscle conditions athlete. Thanks to this invention, the athlete can limit injuries and improve performance. We will also talk about women's football at the "2 ° Seminar on athletic preparation for football" scheduled for Saturday 30 May in Cambiago (Milan). Next to Professor Roberto Colli called to illustrate the "New methodology of work and data of the synoptic with GPS" will intervene Gabriele Boccolini, Atletico Athletic Sector Atalanta BC and Emanuele Chiappero, Athletic Trainer of Cuneo Women's Football. The intervention of Emanuele Chiappero, also a graduate in physical sciences and specialized in sports and training sciences and techniques, will focus on "Women's football between performance model and GPS in training". Chiappero will report on the work done in the women's field in Cuneo, from the point of view of determining the specific performance model and the differences with male football and on the evaluation of training carried out mainly with GPS. These will be the other topics covered by Professor Roberto Colli and Gabriele Boccolini: - the training load: from the theory of individual sports to simplification for team sports; - the variables for the determination of the exercises: how GPS helps us; - cognitive factors and training of changes in direction: from theory to practice; - video analysis and GPS for the technical and tactical reading of the match and finally the football result and physical performance. AND HOW DO YOU PREPARE? ... SHARE YOUR PREPARATION WITH US! The football of August, you know, is a harbinger of great enthusiasm or early disappointments and often is a symptom of the exact opposite of what will happen during the rest of the season. But in the women's soccer august, as well as giving us information on the champions of tomorrow who are competing in the world under 20, it is also the month of preparation for the championship and the most famous teams of withdrawals. That they are of great physical effort like those prepared by Zeman, where the race comes first, or technical exercises aimed at increasing the skills, always with the ball in the feet, in Guardiola style, it does not matter. We at CalcioDonne.it ask you to share them with us through a photograph (a selfie, a group photo, a detail of the changing room or an exercise) posted on our Twitter profile @Calciodonneit followed by #LaMiaPreparazione indicating team, city and championship ( series, group). They will be promptly retransmitted, to show that the passion for football is increasingly pink and fatigue as well! 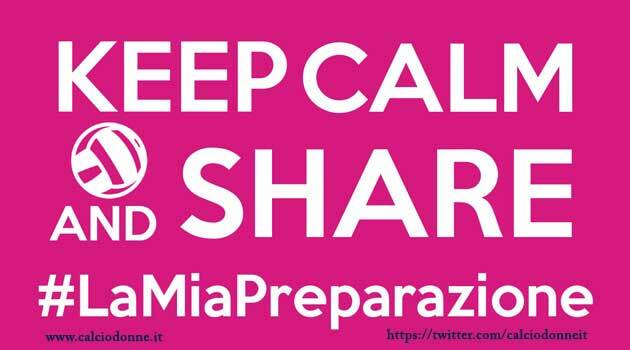 Tweet the photo of your preparation on the profile @Calciodonneit followed by #LaMiaParparation team name, city and championship.